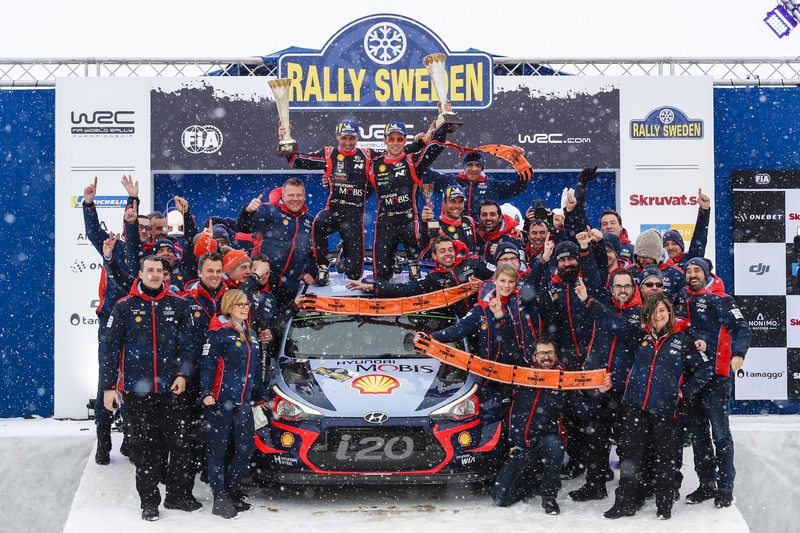 Neuville fought off his old demons last night and went out the last day without any regrets. Taking it easy during the first stage and balancing the numbers with ease during the closing Power Stage. Any doubt about his ability to take it all the way flew straight out the window as he cruised through to park on the podium. Breen wasn’t able to challenge him for real today but what an amazing rally the Irish has done. Great speed all the way and hardly any mistakes during the whole weekend. A well deserved second place that sends echoes through the whole WRC. Mikkelsen came here with the ambition to win, remembering his close call-drive the last time he was here. It’s obvious he loves to drive on these roads and once again he was battling att the top through all four days. Not able to get that real speed as the cars ahead of him, consider this was only his second drive in WRC since 2016. A strong effort that promises for a lot more during this season. Takamoto Katsuma. Haven’t heard that name before? Well you sure won’t forget it now on. The Japanese driver was sensational, taking the battle with the Scandinavian double and pulling through as the winner. Many said his Friday drive was a “one hit wonder”, expecting Saturday to put things back in order, but boy was they wrong. Collecting stage win after stage win, he soon proved he was going to be the one to beat. A safe drive on Sunday secured his very surprising victory. Tidemand came here as reigning champion, with everybody’s expectations on his shoulders; not an easy weight to carry. A solid drive without any major mistakes was not enough though. Continuously chasing Katsuta with the ambition of edging him in the end, this time he wasn’t sharp enough to pull through. Runner up is still a strong proof of his ability to drive in these challenging conditions that a snow rally offers. Veiby was the one thought to battle Tidemand for the victory. Now knowing the end story, it proved eraly on that this was gonna be much tougher than expected. Getting ahead of the Swede turned out to be the first tests out of two, seeing that Japan turned out not only getting in that same game, but also taking it to a new level. 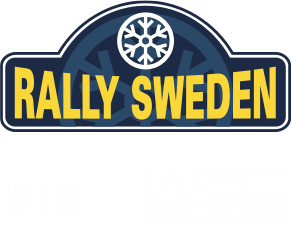 Veiby can either way be pleased with another safe podium finish, showing a reliability that’s much appreciated. In JWRC, Rådström and Bergkvist fought each other for the victory all the way to the finish line. The local boy was always one step ahead though, forcing Bergkvist to take it to the edge to be able to catch him. Even though giving him a hard fight, Rådström proved too strong to handle. No matter what, you can be sure to see much more of both of ’em in the future. What an amazing weekend it’s been. Thrilling action, great driving and a fantastic atmosphere in our Winter Wonderland. To our new champions: big congratulations on your victories. Very well deserved. With these visual moments we say Thank You, for being with us this weekend.